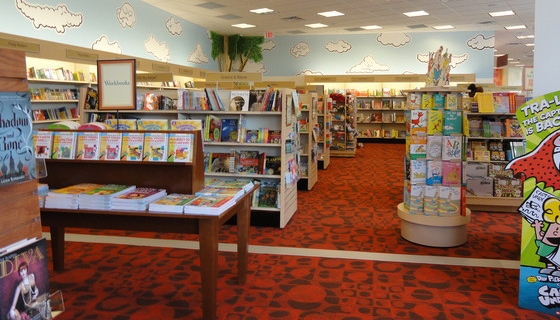 The children's section of the new Barnes & Noble at Rutgers Bookstore. The children’s book market is booming. With estimates of annual sales in excess of $3.1 billion, children’s literature is clearly coming of age. Even on the university campus, where it competes with merchandise ranging from college apparel to convenience foods, the children’s section is more than holding its own. 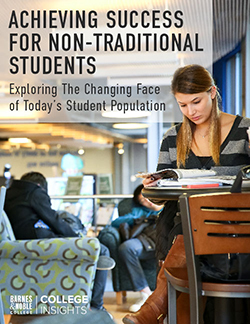 “I don’t think there is any area in the children’s market that isn’t showing positive growth for us,” says Jack Barney, Director of Trade Books for Barnes & Noble College, in an acknowledgment that the genre is just as much at home on the campus as the shopping mall. Powered by increased spending and a greater emphasis on literacy by governments and parents alike, the thriving children’s market is widely segmented, ranging from the brightly illustrated reading books for toddlers to the brooding supernatural tales of the young adult market. And while the massive growth of the children’s book segment has come mainly from series titles often tied to movie or television franchises, Barney reports a strong list of classics is also represented on his back list, including authors such as Roald Dahl and C.S. Lewis, which are also being purchased by adult readers. 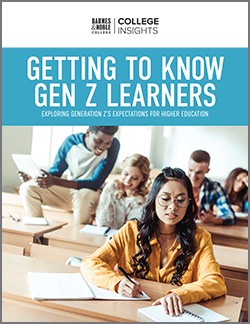 Having transformed the academic college bookstore into a vibrant center of community life, Barnes & Noble College stores are proving to be remarkably kid-friendly environments. “We have the kind of staff who can support both parents and children in terms of selection or recommendations on similar titles,” Barney explains. 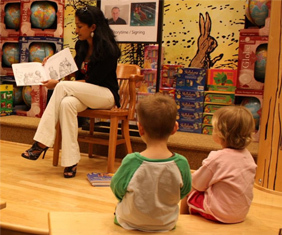 Many stores also host successful story-tellings with some also selling toys or games connected to specific titles. “It’s a great calling card and really establishes us as a community-oriented store,” adds Barney. With thirteen percent of children’s books now in e-reader format, Barnes & Noble has an advantage in digital technology, which is quickly finding applications for the segment. 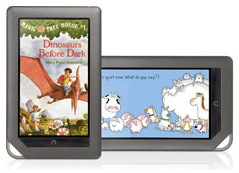 “The NOOK Color™ and NOOK Tablet™ now provide some great enhancements with features like better color definition and a ‘read-to-me’ function where children can play back a title with the parent reading,” Barney points out. Some larger stores provide NOOK story hours, where the presenter will read from a NOOK, and with more children’s titles becoming available digitally, this market is only set to grow. He points to the deluge of vampire titles, some of them highly successful, appearing in the wake of the Twilight franchise. But if blockbuster franchises aren’t your taste, there’s always something for everyone in the children’s market.